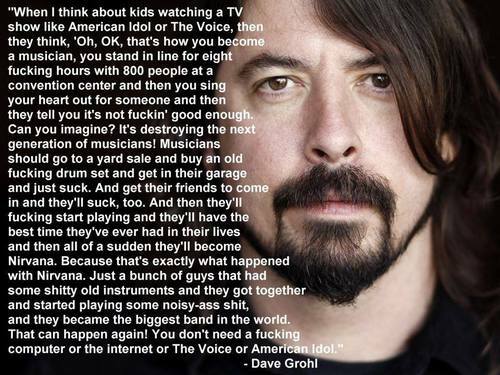 …Funk it, #DaveGrohl got it right again. Medias broadcast a package aiming at selling dreams, literally…Cultural industry is a soft and powerful tool to influence people, and, this tool, handled in bad hands, can ends with bad consequences. Being a musician…Rock culture is not only about expressing a damned freaking and electric dynamism. 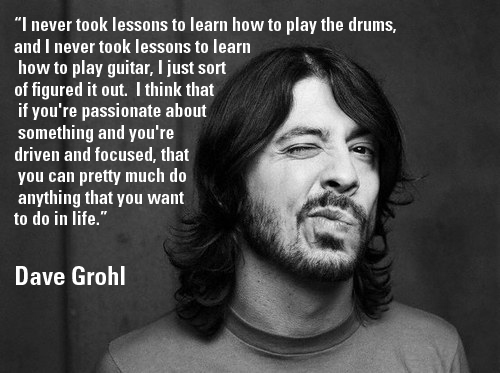 No, it is mainly about how to learn, enjoy and live as a f*cking musician. And this culture preaches the truth, unlike X-FACTOR, American Idol and other commercial programs, obviously. With that being said, we do see amazing performances at these shows and winners such as #LittleMix, for example, deserve their success, big time! But we should not underestimate those who stay out of the light. Cause in the darker you stay, the brighter your potential. Your passion is that fire that light up your gifted skills.